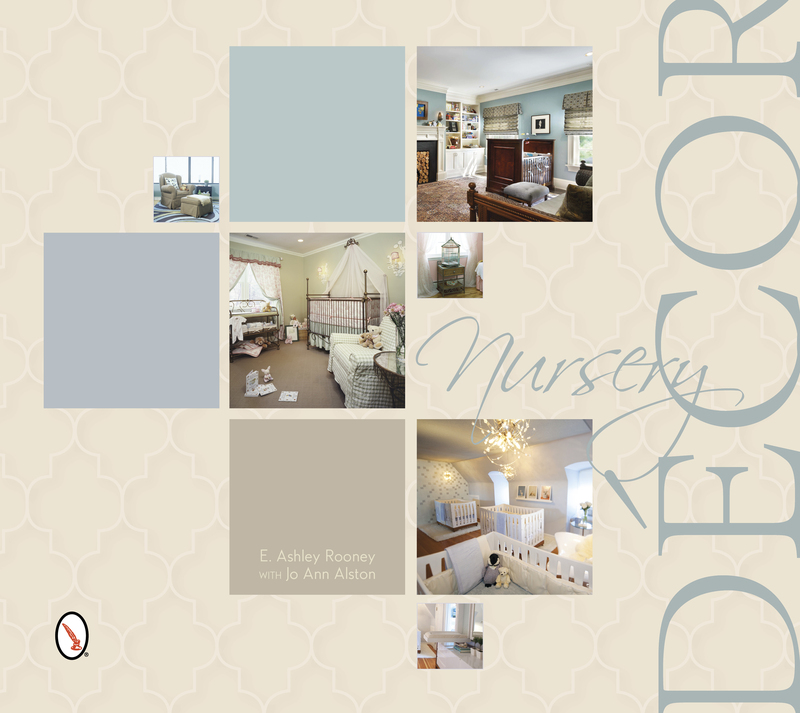 Sherry Ways one of 25 Designers Featured in New Nursery Decor book! We are proud to announce that Sherry Ways – Interior Designer & Interior Decorator Washington, DC is one of 25 design professionals across the US chosen to show a variety of looks for fun, age-appropriate rooms that can be easily updated as your baby grows in this new book, Nursery Decor by Ashley Rooney. Featured in the book is an eco-friendly play room we designed for one of our clients. With more than 200 color images, inspiration boards, and sketches, this colorful book is ideal for expecting parents and growing families looking for some fun decor inspiration. Long before the parents bring home the new baby, they are planning their nursery. What kind of crib or diaper stand? What color palette? What decor? There is a good deal of information available, but it can be confusing on its own. This well-illustrated book makes it easy. Look for it on Amazon or Barnes & Noble! Planning Your Baby Blues…Or Greens! Or possibly your baby greens. As parents-to-be, you have enough to worry about when it comes to planning your baby’s entry into the world. So the nursery shouldn’t be one of them. Unless you plan to have your baby sleep with you, your nursery should be an environment that will promote well-being, comfort, and security for your newborn. 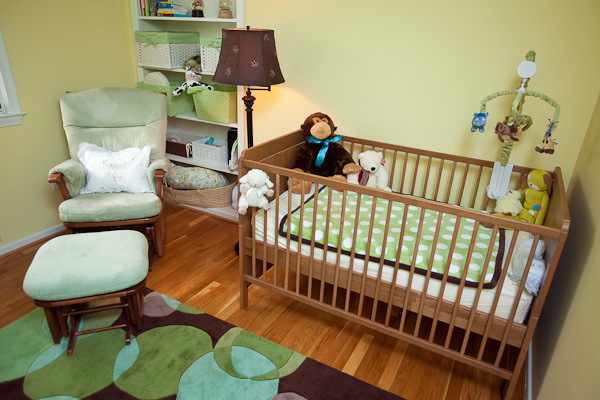 When decorating your nursery, you would need to consider colors as well as eco-friendly materials and furniture. The first order of business would be choosing colors for the room. Green is an ideal color for a nursery, for it creates a soothing environment of nurturance. Green is the center of the color spectrum and it is associated with healing and relaxation. Since blue is known for its calming effects, it is also a color of choice. You may also consider an indoor fountain for the nursery. Blue, being the color of water, is represented by the constant flow of energy and it will settle restless energy. It will promote relaxation and improve sleeping patterns. The next consideration is materials, such as paint, flooring, and furnishings. When choosing paint, avoid those that contain VOC. The paint should be made out of organic materials, such as soy, buttermilk, or beeswax. You may want to skip the wall-to-wall carpeting. Carpet tends to trap mold, dust, and other allergens. Consider hardwood floors made of bamboo wood. The crib mattress should be made out of organic cotton. It doesn’t contain the pesticides that regular cotton has. We designed this baby's nursery with soothing and stimulating colors. The baby’s furniture should be made from rattan, wicker, or solid wood. Furniture made from materials such as plywood contains formaldehyde. Another option would be to purchase used furniture since it is most likely to have released all the toxins embedded in its wood. Now that you have gotten all the preliminary stuff out of the way, you can enjoy one of the most joyous times of your life: the birth of your newborn. The best gift you can give your new baby is the gift of a better, cleaner environment, beginning with his/her first room….